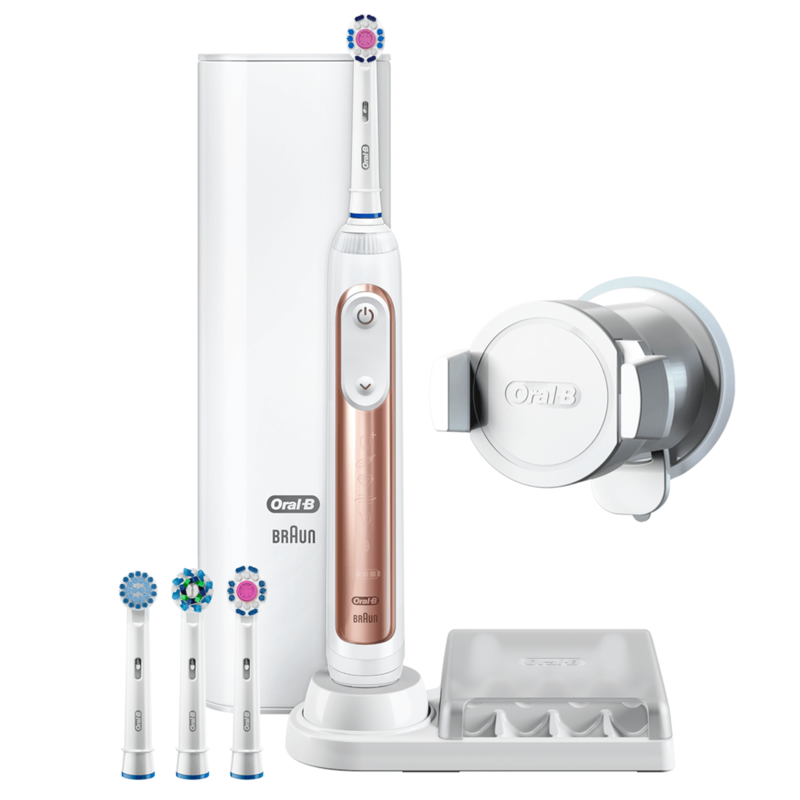 The revolutionnary Genius 9000 Rose Gold electric toothbrush features a dentist-inspired round head that oscillates, rotates and pulsates to break up and remove up to 100% more plaque than a regular manual toothbrush while the specialized polishing cup removes surface stains for whiter teeth starting from day 1. 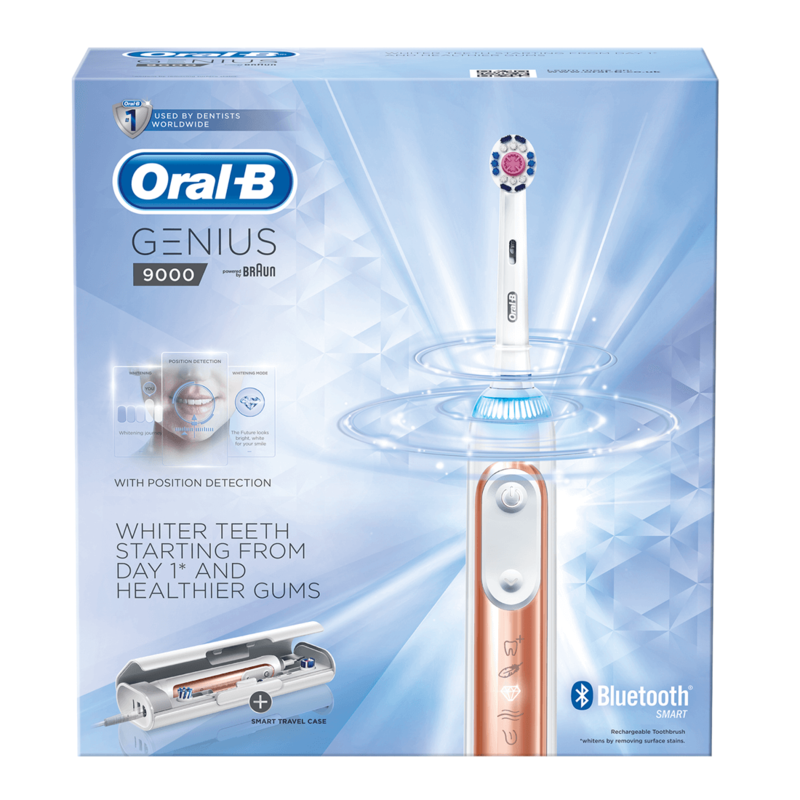 Designed to help you brush like your dentist recommends, this brush connects with the Oral-B smartphone app via Bluetooth technology to provide you with customized real-time feedback, including time coaching to brush a recommended 2 minutes, triple pressure control to protect your gums from over-brushing, and advanced Position Detection technology so you never miss a zone. 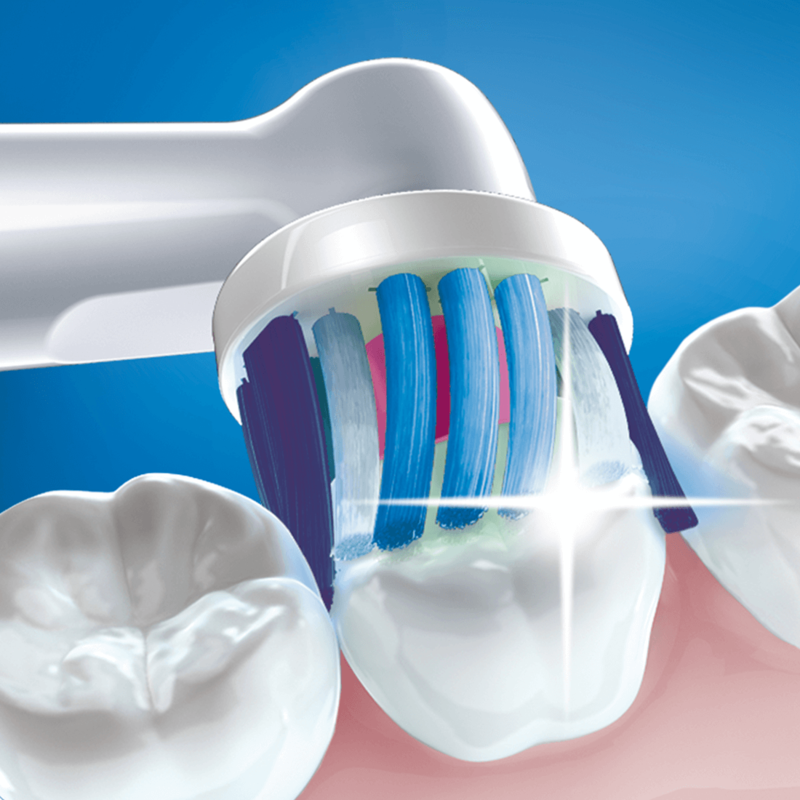 The 360º SmartRing with LED lights allows you to personalize your brushing experience. 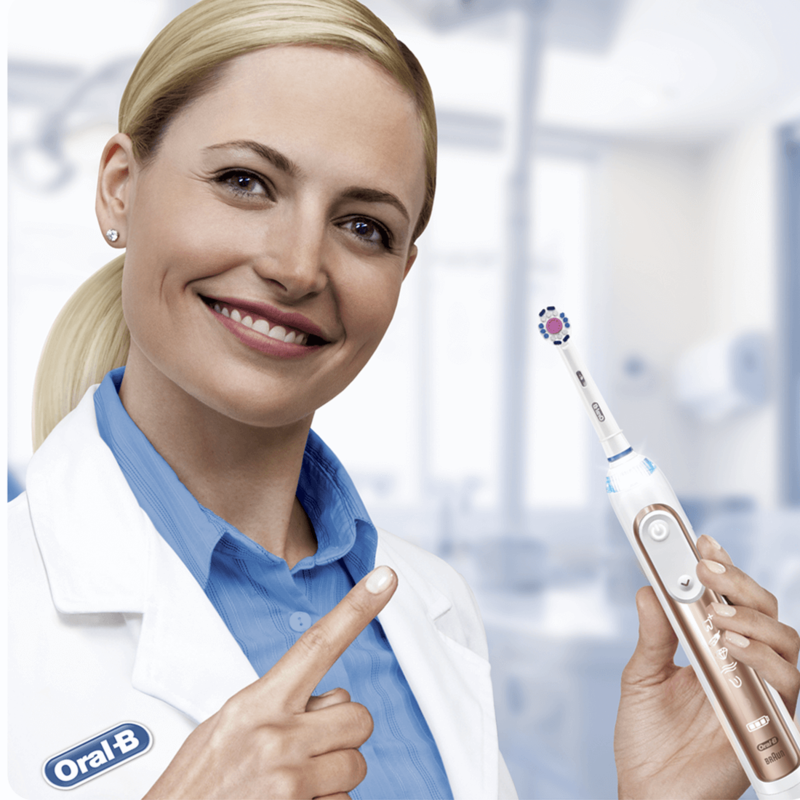 Designed and powered by Braun, and brought to you by Oral-B, the brand that launched their first sonic power toothbrush in 1963 and Oscillating-Rotating-Pulsating technology in 1998 – and remains today the #1 brand used and recommended by dentists worldwide. This toothbrush comes with a UK 2-pin plug.